When I was growing up, I lived in a small suburban area of Detroit. It was actually a village in terms of its governing structure, and the area contracted for fire and police from the next town over. But there was no “break” between us and the city to one side or the town to the other – just one neighborhood next to the other with the same type of houses, built at roughly the same time. Of course, as a kid it didn’t seem to matter, except I seem to remember needing to apply for a different kind of library card, or maybe because we didn’t live in the town I wasn’t able to check books out. I have fond memories, though, of spending hours in that library during the upper levels of grade school and then in high school, surrounded by various encyclopedias and books, researching papers. I liked the silence, the focus there. And I loved looking books up in the card catalogs – those small but long drawers of index-size cards, arranged alphabetically. You could pull the whole drawer out and take it to the counter and go through it, often discovering other books on your same or another topic that were just as interesting, or more so. A few years ago I was at the local library here and asked for help from a librarian. She replied to my request by suggesting we look at the card catalog. I was so excited! I thought perhaps they had moved them to a place less obvious and I had overlooked them for years. Imagine my disappointment when she walked over and sat down before a computer! But I digress. When you’re little, your world is small. You know how to get to school and your friends’ houses, and they usually lived pretty close. Beyond that radius, the parents were in charge of getting you where you needed to go. It was a really big deal when we were allowed to ride our bikes up to the drug store a half-mile away, armed with instructions about crossing the road – wait for the light and the walk signal, get off your bike and walk, look both ways and be careful – and coming home immediately after buying whatever it was we were allowed to buy that day, most likely a nickel (for a minute of my memory, then a dime) candy bar. It wasn’t until I was older that I began to distinguish between where I lived, which was completely residential, and where my friend had moved, which had it’s own commercial area. She referred to it as “uptown”. “Let’s go walk uptown” she’d say, sounding ever so sophisticated, which I thought she was, anyway, since she was a year older and two grades ahead. So we’d go explore the Woolworth’s dime store full of goldfish and pet turtles, pillowcases to embroider, small plastic Disney collectible figurines, and all sorts of other treasures mixed in with mundane items like sponges and fly paper and lace doilies old people put on their chair arms to protect them from wear. We’d walk across the park in the center of town to visit the bookstore, which we both loved, then maybe into the small local department store and look at clothes. We didn’t really have much money with us, certainly not after our purchases at the dime store, so I don’t remember even trying anything on. And I felt self-conscious as a result – I felt certain the sales clerks knew we didn’t have money to buy, so we should leave! But I felt that the town was my town, too, and it was rather confusing, though nothing I thought much about. Until the Fourth of July rolled around, that is. Every Fourth of July our Village of Beverly Hills sponsored a parade to celebrate, and it was quite an event! All the kids would decorate their bikes with crepe paper streamers and clip old playing cards to their spokes with clothespins so they made this great flapping noise which became quicker and louder as you pedaled faster and faster! We would start days ahead of the parade, whether we intended to ride in the parade or not, deciding which colors to use, and where, and whether you would make the front wheel the same as the back, or different, and don’t forget to cut some narrow pieces to make a sort of tassel coming our of that convenient hole in the plastic handlebar grips. My mom must have loved it – it really took all our attention for days! If you weren’t planning on riding, you could dress up and walk in the parade. That’s what I most remember. Once I was Little Red Riding Hood, borrowing a voluminous red cloak from a neighbor, another time I was a Pilgrim. Halloween and Fourth of July sometimes overlapped, but a witch just would not have worked! Once, my sisters and I, along with a few neighbors rode in a float – a red convertible decorated with crepe paper and flags and banners reading Armed Forces Queens (we must have come up with that one!) and They’ll Keep Our Nation Safe (if only it was that easy). We wore our swimsuits and sashes and silver crowns that in the snapshots look like they’re made from foil covered cardboard with gems stuck on. The local paper came out and took a photo that was in that week’s paper, so we were real celebrities! I don’t remember if it was my dad’s car, and the same one I drove during college, or a neighbor’s, and I have no recollection of who drove during the parade, but I do remember practicing waving. When I was about eight, I was unable to participate in the parade due to the mumps. I felt so left out, and my only consolation was that my dad promised to take me out for an ice cream Sunday when I was better. And true to his word, he did. I had peppermint ice cream with marshmallow topping, sitting next to my dad at the counter of the soda fountain in the local Howard Johnson’s. So even missing the parade became memorable. The parade began at the schoolyard of Our Lady Queen of Martyrs elementary school and would its way through the neighborhood to end at Greenfield School where the local Dairy – Twin Pines – distributed Popsicles to all the kids who participated. There were ribbons as prizes for many categories – Best Patriotic, Best Historic Character, Best Decorated Bike, Best Float, etc. I won one once – can’t remember which category, but the fun was in participating. We’d start walking, and looking for our neighbors who had brought their lawn chairs out into the parking strip, lining the parade route, waving at all the kids and bikes and dogs. Our street was one of the first streets and the most fun because we knew all the people waving at us. Soon we’d be on other streets where we didn’t know anyone, which wasn’t as much fun. But we knew it was all our neighborhoods, our schools – one Catholic, one public – and our Village of Beverly Hills – and so began our sense of civic pride. Then it would be over and we’d be looking, Popsicle in hand, for the adult come to collect us and take us home where we’d perhaps go on a picnic at a relative’s, or the backyard, and finish off the day watching fireworks from the edge of some golf course. We’d get home late, and tired from a long day with lots of activity and more memories. In bed those nights, I’d crane my neck to see if I could press my cheek far enough against the screen to catch a last glimpse of any stray fireworks and breathe in the magical night air. It seems a lost, nostalgic bit of Americana to me now. So “small town” and from a simpler, more naïve time. And yet, in Seattle we have the tradition of many neighborhood parades all summer long, and generally associated with Sea Fair. Join us in Wallingford on Saturday July 8th at 11 a.m. for the Wallingford Family Parade. Get your own dose of nostalgia and have some fun! My dad passed away almost fourteen years ago, now, and I still miss him. I think he tethered me in this world. I looked up to him even though we didn’t always agree. He unkindly teased me once about having failed as a parent because he’d raised a Democrat. Needless to say, we avoided that topic of conversation afterward! He was someone a person could rely on, and I think he instilled a sense of the importance of integrity in all his children. None of us takes things on lightly – if we agree to do something, we do it, even if it kills us! 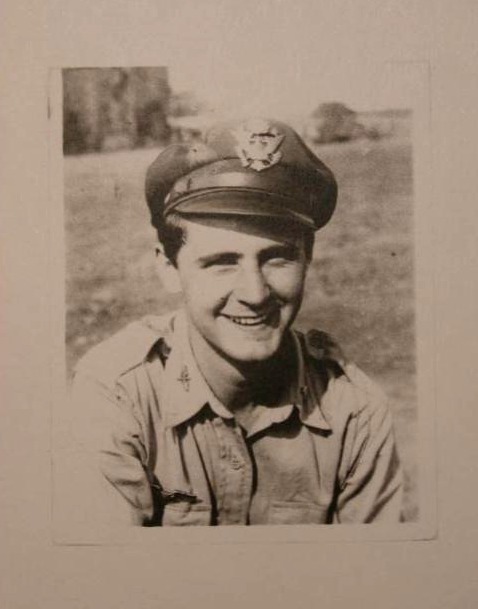 A member of what is now termed The Greatest Generation, he was a World War II reconnaissance pilot, a period of his life he, unlike others, remembered with great fondness even though his meticulously kept photo album held m any pictures of friends and comrades who didn’t survive. An only son, he re-entered civilian life at the end of the war since his own father had died and he felt an obligation to help his mother. Returning to college, he pursued an engineering degree and met my mom. Theirs was a typical post-war life; Dad worked, Mom stayed home with the children who began arriving approximately every two years. Between sister two and three, we moved from a smaller home into a larger one, and my dad’s mother came to live with us, too! 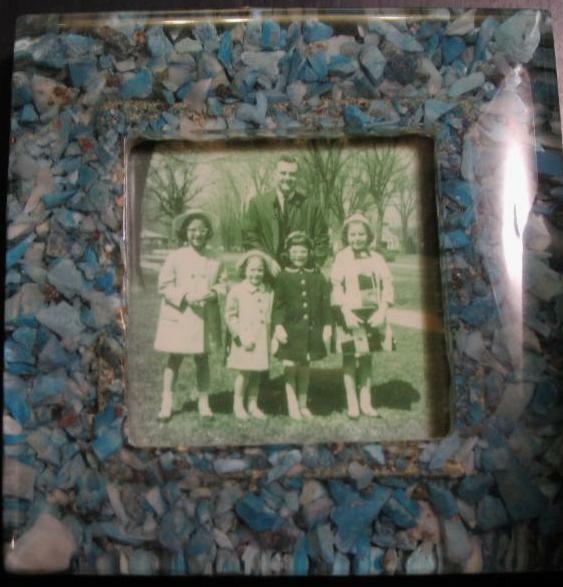 So here was my dad, with a wife, a mother, four daughters, and even a female cat. And I believe he was completely in his element! Aside from coming home from work, and wondering aloud if we all thought he owned the electric company because the house was “lit up like a Christmas tree”, he was pretty even-tempered. Oh, and driving – not even-tempered then. It took me years before I stopped wondering why a bee’s son was anything to be angry about! But he liked driving, and often on a Sunday afternoon in the summer, he’d pile us all in the car and drive out into the country. Once we even took the cat, when she was a kitten, and it wasn’t until we were too far from home to turn back that she decided she didn’t like the car after all, and began to howl. That was a long afternoon, and we didn’t take the cat again. Our vacations always involved driving. We would drive from Michigan to Buffalo, NY where my dad had been born, to see some relatives, leaving my grandma with them for a longer visit, then drive up into Canada. One year we drove all the way up around Lake Huron, through Sudbury and then down through Sault Ste. Marie. Unfortunately for Sudbury, the day we came through was miserable, grey and wet. No town would look appealing under those circumstances, but we have all remembered Sudbury as a result! 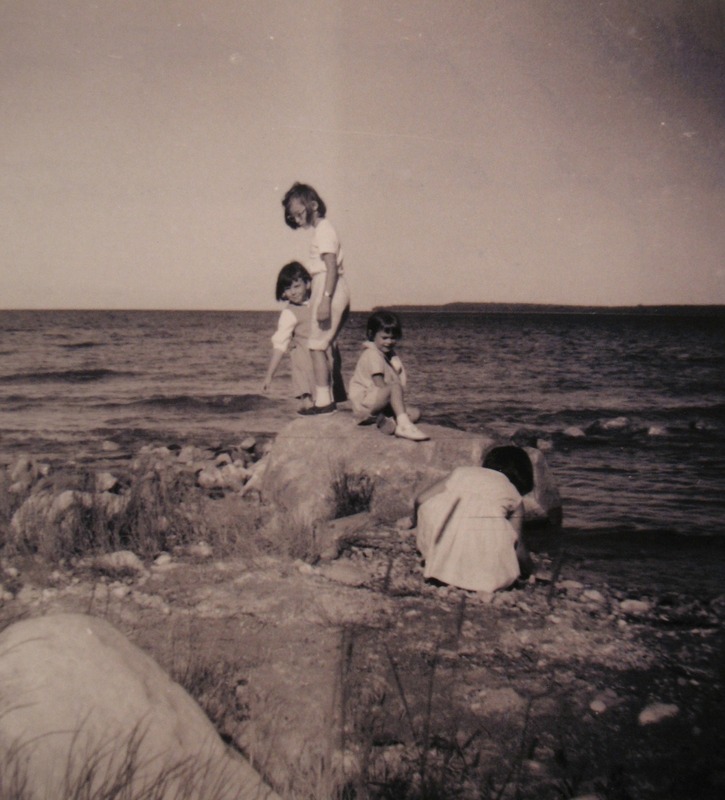 I have a picture I love of the four of us on the beach in St. Ignace. Marianne is in peddle pushers atop a big rock, the other three of us are in dresses, Maureen exploring the pebbles in the wet sand, her back to the camera, Linda sitting at Marianne’s feet. I’m beyond the rock pointing down into the water at its base. We are all involved with exploring, not posing. I wonder who took the picture? I have no memory of that, but am filled with nostalgia when I look at it. It was my dad’s job, though, to take the Christmas morning movies. He had an 8mm movie camera with big flood lights on either side, like some crazy reindeer antlers! We four would gather at the top of the stairs ready to run down on cue into the living room to discover, on camera, what Santa had brought. Good plan, right? Invariably we would get the green light, be rushing down the stairs only to be told “Wait, wait – go back up!” The film was not moving, so we had to begin again. Except for my dad peering into the camera to be sure the film was actually moving, we never see him in our home movies! I suppose that’s my point in writing this: what I remember about my dad, and cherish, is not what he did “out in the world”, but what he did, and who he was, within our family. And he was someone you could count on. He was at the bottom of the basement steps on Sunday morning, ready to give your shoes a polish before church, he was willing to get in the car and come check out the weird music you heard coming from the basement at the house where you were babysitting, he was the one you called when you got in a fender-bender. He was my Dad. And I miss him always, but Father’s Day reminds me that I miss him. On Father’s Day now, I am celebrating the qualities and love my husband embodies as a fantastic father to our son, and seeing those and similar qualities in my son that will make him a great father down the road. Father’s Day has become Fathers’ Day. Maybe it should be Fatherhood Day, a celebration of both the specific fathers in our lives as well as the vocation of fatherhood and those who live it whether they be biological fathers or not. What do you think? Should we vote on it?